Which sat nav app should you download? Are they better than hardware sat navs? As so many cars now come with advanced infotainment as standard, you could be forgiven for thinking third-party GPS navigation is on the way out. 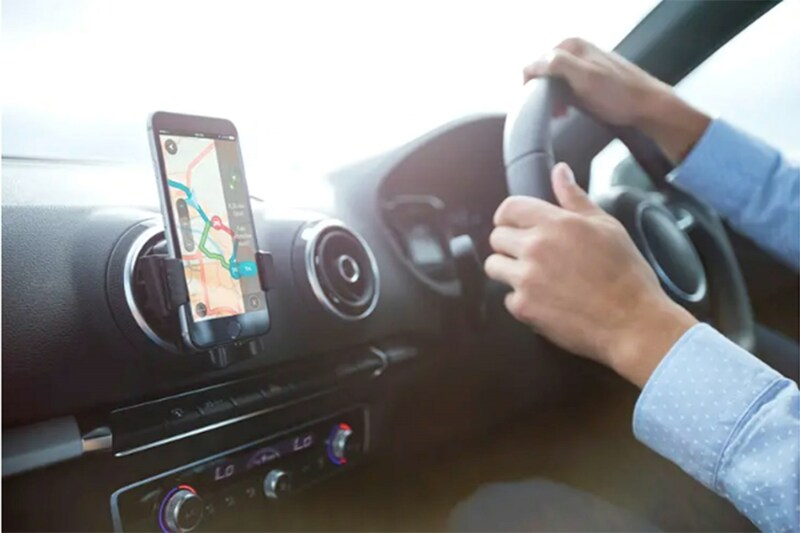 There are many good reasons to download your own sat-nav app to use instead of using integrated mapping, however, and the popularity of smartphones means you probably already have the hardware to run it, rather than needing to buy anything new. You can still buy dedicated sat-nav devices from TomTom, Garmin and others, though if you prefer not to use your phone, they’ve evolved into versatile connected solutions that often offer better features than anything built into your car. A dedicated GPS won’t consume your mobile data allowance. Why should I get a sat-nav app on my phone? What are the best free sat-nav apps? Most reliable apps have been developed for both Android and iOS. A couple are also available for Windows Mobile (Microsoft has announced the end of Windows Mobile, though, and recommends moving to Android) and Blackberry devices. If you are on a contract with limited data, or pay as you go, you will want to use an app which supports offline maps. These are downloaded to your device when you’re on WiFi and stored locally, meaning that as long as you have a GPS signal, routing will work, and live updates will require less data. Most apps will cache a small amount of location to cover signal blackspots, but not a whole route. It’s free, it’s crowdsourced and it keeps getting better. 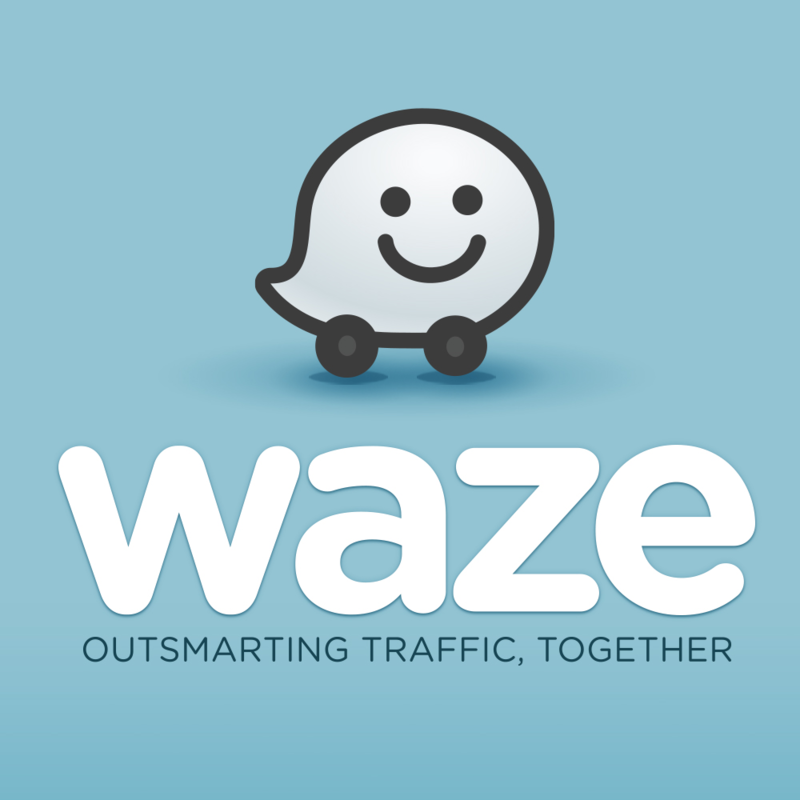 Waze’s mapping has grown in accuracy and detail with user-supplied editing, and traffic conditions are tracked and updated based on the flow of cars; the same technology now used by Google. Users can report accidents, police, hazards such as broken-down cars and potholes, and can also send messages if they’re not driving. Waze is Parkers and Mother & Baby's 'Best Safety Award' winner for 2019. 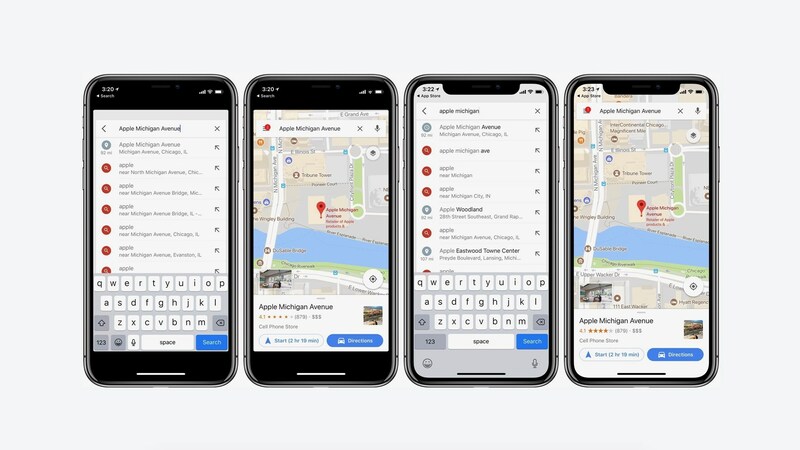 Street-view, satellite view, 3D view and comprehensive destination information are all part of search giant Google’s mapping and navigation app. Directions for walking, cycling and public transport are also provided, making it ideal for a whole-journey plan. Google’s strength is in finding destinations without precise knowledge, such as shops or restaurants, as well as live traffic alerts with clear indications of congestion. With Google and Waze available to the majority of users, you’d be forgiven for questioning a third choice. Here – once part of Nokia – is one of the oldest automotive and mobile navigation providers. Here WeGo is the latest version of free route planning and guidance app, which includes advanced planning on computer you can then send to your device. There are no monthly costs, and public transit planning is a major feature. What are the best paid sat-nav apps? Almost as synonymous with navigation as Hoover is to vacuum cleaners, TomTom’s response to smartphones challenging their range of navigation devices has been to join ‘em. Specifically, to make the TomTom navigation environment, complete with lane guidance and custom voices, available on Apple iOS and Android. It’s also free – sort of. You get 50 miles free per month, which is great if you get easily lost on the way to the local shops. Real-world users will want to pay the subscription price of £17.99 per year, or if you only want very infrequent use, £4.99 per month. 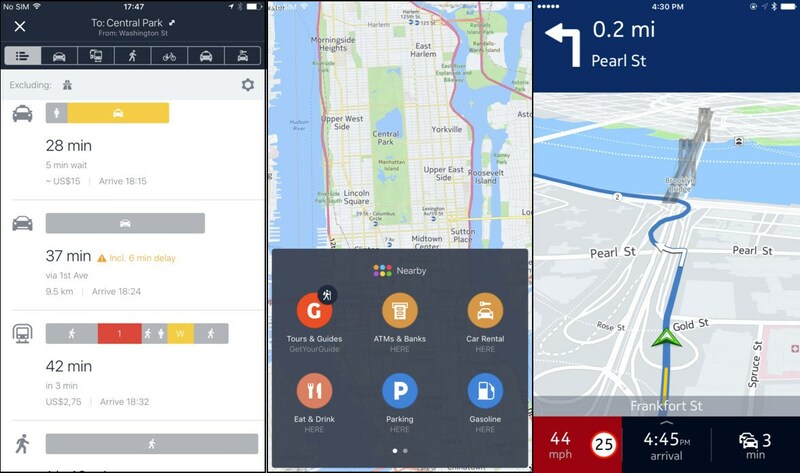 Co-Pilot Is one of the earliest apps to fully utilise mobile devices for navigation, and it started out as a fleet and business solution with two-way tracking and the ability for an operator to send a route to a driver. Having pioneered a lot of advanced navigation techniques, it’s a solid offering with good coverage and special routing for caravans, larger vehicles and HGVs. Traffic costs extra, which makes it hard to recommend over free solutions like Waze, but for towing, rented larger vehicles or motorhomes it will avoid ridiculous routes. Sygic is most often found as a recommendation for connected infotainment systems with sophisticated mirroring, such as Mazda and Jaguar/Land Rover systems. It’s a paid app for integration with those platforms, though a free general-purpose version is offered; it also integrates with third-party head units with AppRadio support. Paid for upgrades include head-up display (achieved by reflecting the phone off the windscreen or a purpose-built lens), dashcam (ideal for when the phone is mounted on the windscreen) and real-view, augmented reality navigation that overlays instructions on the actual surroundings; pricing is subject to so much variation that it’s best to look for your own preferences before buying. Crucially, Sygic is also available for Windows phones, and it is based on TomTom mapping data with free updates for life. A version for caravan routing is also available. 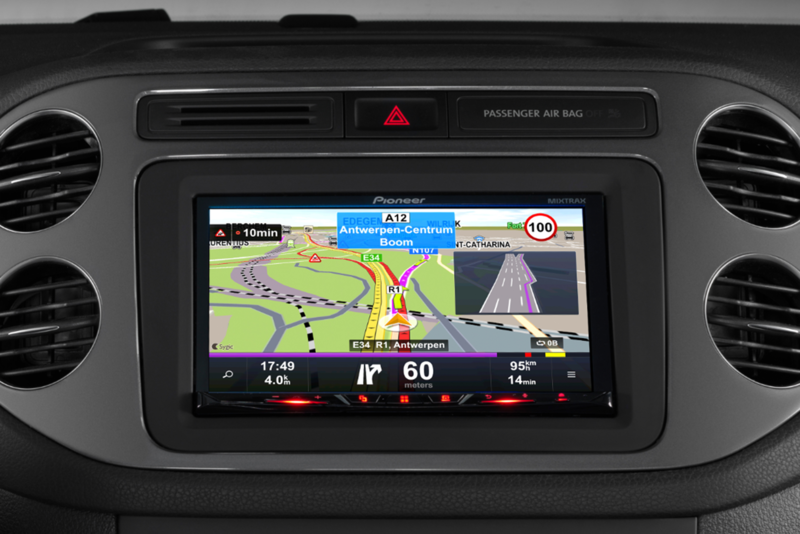 Which hardware sat-nav is best? Why choose a dedicated sat-nav? They are designed and developed for the purpose, rather than operating within the limits of your phone. Not only are their maps available when you’re out of signal, they won’t consume mobile data allowance and are less of a theft risk both in terms of how desirable they are, and the lack of personal and financial data they hold. Bespoke mounts are often available for unobtrusive use, and they’re free of distractions. Unlike built-in solutions they’re often much easier – and cheaper – to update, and many include traffic alerts, live data updates and speed camera warnings as well. Higher priced units often include mobile connection and lifetime map updates. TomTom came close to being as synonymous with navigation as Hoover is to vacuum cleaners, with good reason. For years, the Dutch firm’s car navigation devices dominated the market thanks to clear route guidance, a sense of humour in the voice selection, and robust hardware. 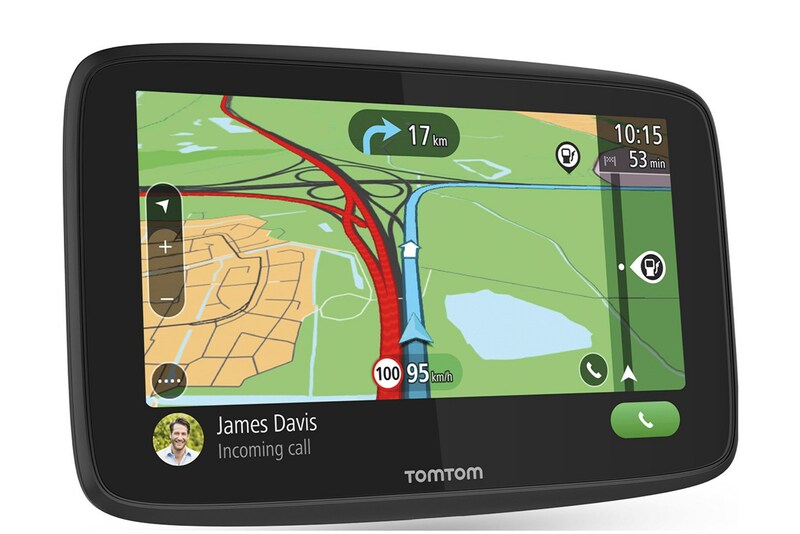 Their current range includes free map updates for the supported life of the device, and subscription-based enhanced services; if you’re already a TomTom user who has been holding out due to the cost of updating your existing model, now’s a good time to buy. We recommend the Go Essential, which includes most services, world maps and WiFi updating with a 5.0-inch screen for £179, or.a 6.0-inch screen for £219. You can get lifetime European maps from £119 with the 4.0-inch Start 42, however, a great choice for young drivers. Garmin’s technology can be found in many third-party and OEM systems, including aftermarket car radios. 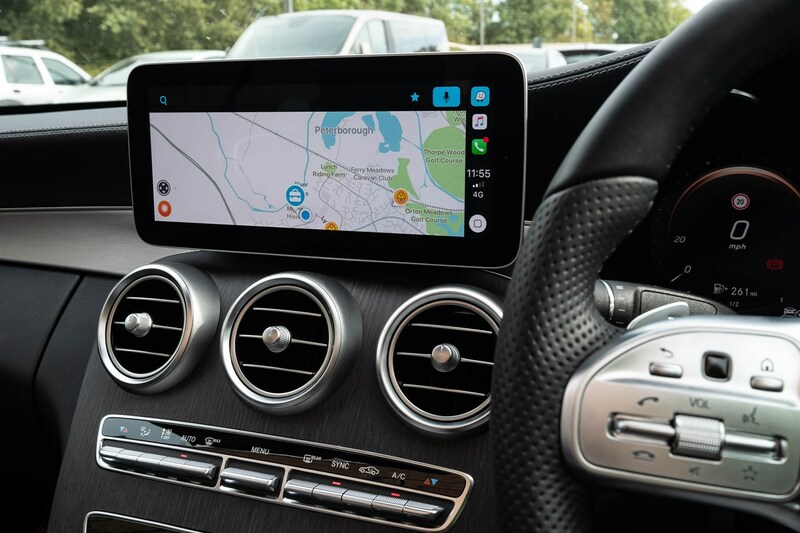 They make a range of solid car navigation units, too, with a more clinical, square design than TomTom – both in the hardware, and the way the software is presented. 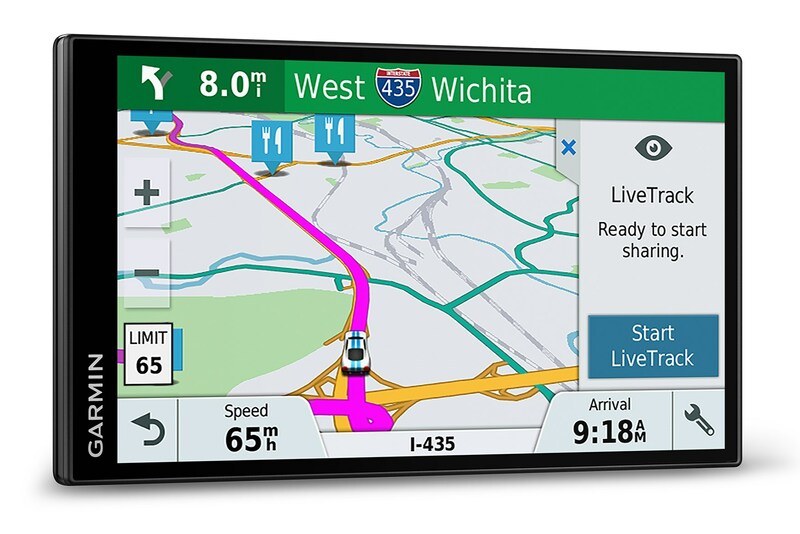 Guidance is extremely good, but Garmin’s real edge is in their lack of it; specifically, the 6.95-inch LMT-61’s edge-to-edge display, which provides more map view than almost any other device you can add to your car. Traffic, live alerts, parking and weather services are offered by pairing with your smartphone, which also turns the Garmin into a hands-free messaging device. Extra accessories, like a wireless reversing camera and connected GPS smartwatch, are also supported. Is an integrated sat-nav better than a sat nav app? Most integrated navigation systems lag behind smartphone apps and standalone devices simply because they’re designed well in advance of launch. However, more sophisticated systems with their own data connections are able to update and pull in live traffic from a variety of sources, and they’re often as good as the best apps. Beautiful satellite imagery, expansive Virtual Cockpit displays, and clever touchpad entry for destinations as well as great voice control and routing, Audi’s latest navigation systems are cutting edge. There’s really no need to fire up the smartphone navigation here. Decent traffic handling, friendly guidance and easy over-the-air or USB updates, Ford has been very sensible in creating Sync 3 for real-world users of all abilities. You may be grateful for the Waze integration, or Apple CarPlay, but if you forgot your phone Ford will get you home stress-free. Innovating techniques like gesture control, natural voice commands and full connectivity, Mercedes-Benz is close to Audi for sophistication. You’ll want the most expensive infotainment displays to take full advantage of the system, though.